You are here: Home / Blog / Earned Media—What Is It and How Do You Get It? Earned Media—What Is It and How Do You Get It? 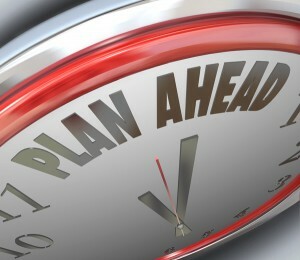 Planning allows you to take advantage of earned media. By now, we’ve heard several industry experts like Joe Pullizzi from Content Marketing Institute suggest that businesses are now very much media companies. By and large, our companies are producing content in varying formats to deliver information to our audiences via a myriad of media types. Media companies develop media for the purposes of generating revenue directly from the creation of the content. For a non-media company, content is created for the purposes of attracting and retaining customers. So while their content supports the business model, it’s not the business model itself. When it comes to content marketing, we’ve all heard about the various types of media mentioned —paid media, owned media and earned media. But what exactly are each of these and how would you use them in your marketing plan? Public relations itself should be part of any marketing plan and then take a look at the details below and we’ll show you how each of these media formats is a requirement for your business too. Paid media refers to advertising for which you pay cold hard cash. This includes things like Google Adwords, advertisements in magazines, newspapers, mail, billboards, etc. This is the type of media that you use to attract strangers to your product. Owned media refers to anything that you actually own and produce yourself. This includes content that you create yourself, for instance, articles on your website, blog, social media, etc. Owned media is important because it’s how you attract customers to your product. It’s the way you build rapport and ensure that customers know exactly what your company and your product is all about. Earned media refers to any publicity that you receive through other means, or not through paid advertising or your own publishings. Earned media includes word of mouth publicity, discussion on social media, YouTube, etc., and comments on blogs and in forums. Earned media is the type that fans interact with, that fans build themselves. The word “earned” has an interesting connotation because you do build this sort of media yourself, through hard work and good advertising. The best way to earn your earned media is to establish yourself as an expert in your industry. Publish quality content consistently. This doesn’t necessarily mean publishing every day, or even every week. But it does mean that when new information emerges that is relevant to your industry, that you publish relevant, quality content. Quality content will help to establish you as an authority in your field, and thus enhance your earned media, because more people fans will talk about your company on the internet if you are seen as an authority. Quality content is reminding people why the information is important and showing them how to use it to improve whatever they are doing. Cite your sources. Yes, this is what your teachers told you to do in high school. And if you continue to cite your sources, even when you’re publishing information on your own blog, your content will be seen as truthful and reliable, more so than content that is published without sources. And when you cite or link to your sources, this also suggests that the content is more trustworthy and authoritative from a search engine perspective. Make comments out there on the sources you read and respond to reader comments you may get. What’s valuable about online communications is that it’s designed to be two-way. To get more interaction on your own content, you need to be a good ‘netizen’ too. Adding comments that enhance the value of the information that’s out there is what we’re all looking for. And if you want to get comments on your writing, you need to be actively adding comment value to others. When readers comment on your content, whether on your blog, your social media, or on YouTube, acknowledge and respond! If you interact with those that are interacting with you, they will feel more connected to your company and product, and interact even more, thus giving you more earned media. Publish content via many forms of media. Rather than only producing content that you put on your blog, interact with your customers in many different ways. Establish a Linked In account and interact there. Post videos on YouTube. And interact in many other ways that are relevant to building your company and interacting within your niche. By establishing more of a presence on the internet, you will establish yourself as an authority within your field. Additionally, by utilizing all these different forms of media, you can interact with a much broader interested base, and ensure that you will get more earned media. Successful content marketing dictates that you use all three types of media in your marketing plan to work your way into even more earned media. But content take work and thought to create and it’s challenging to get it all done. If you’re organization needs some help understanding how to get all this content done, download our Crazy, Busy Content Marketing Guide.